Can Melanoma Grow Back in the Area It Was Removed? You’re not neurotic if you’re afraid a melanoma will grow back where one was removed and you keep checking the area – because it CAN. This explains why, at least in some cases, the 10-year survival rate for stage 0 melanoma is not 100 percent. One has to wonder if in some of those patients, the subsequent fatal melanoma was one that grew back in the area where the original one had been removed. How is it that even an early-stage melanoma can return where it was taken out? 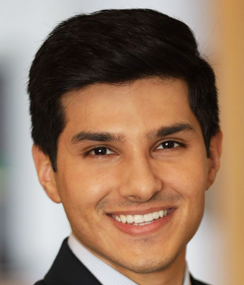 “Melanoma can grow back in the area it was removed, especially if the entire lesion was not fully excised,” says Zain Husain, MD, FAAD, board certified dermatologist and fellowship-trained Mohs micrographic surgeon with New Jersey Dermatology & Aesthetics Center. “Typically, early stage melanomas are treated with wide local excision,” says Dr. Husain. There is no way to detect if only a handful of malignant cells were left behind. And a handful is all it takes for a repopulation to occur. Eventually, this will start becoming visible to the patient. “In addition, sometimes malignant cells travel into lymphatics as in-transit micro-metastasis which may have not been detected,” says Dr. Husain. This means that a repopulation would occur at a distant site from the original melanoma, such as a lung or the brain. What seems to be an early melanoma may, indeed, have micro-metastases – and unfortunately, detection technology hasn’t caught up, and these slip under the radar. If you ever need to have a melanoma removed, make sure your surgeon explains everything to you about excision margins. It would seem that a humongous excision would solve the problem of a few cancer cells getting away. The problem with this idea is that the location of the melanoma might not allow a gigantic deep excision, such as an eyelid, finger, toe or the nose. Furthermore, even if the excision was very wide and deep, this would be futile against any melanoma cells that had already made their way into the lymphatic system. If you’ve already had a melanoma removed, don’t become complacent in your monthly self-skin exams or regular visits for clinical exams. 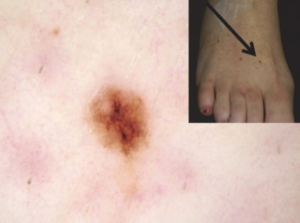 New Moles Near a Melanoma Excision Site: Should You Worry? 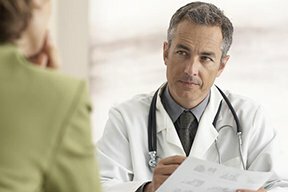 Why Is Melanoma Survival Rate Higher for Stage 0 vs. Stage 1? Can Self Removal of a Skin Tag Cause Cancer?